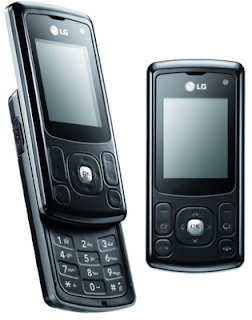 LG KU 380 is the best of all the cellular phones I ever owned. 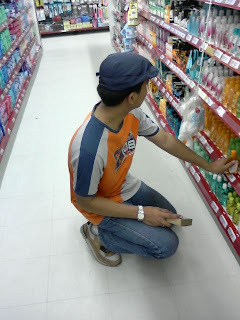 It answered all the functionalities that I required at an affordable price. The phone has keys that are easy to learn, especially for those avid Nokia cell phone users. Yes, LG KU 380 is a 3G phone but it is quite cheap compared to the other 3G phones of other cell phone manufacturers. The reason for this is LG’s “3G For All” program that aims to make 3G phones affordable to the middle and lower economic class. I began the search for a new cell phone last year when my Nokia phone decided to rest for good. Instead of buying some 2G phones, I decided to find some affordable 3G phone. My basic requirement for a cell phone is that it should have a camera since I can’t afford yet to acquire my own camera that I could use for my work. I do not want a simple VGA camera because I am not satisfied with the pictures that those kind of cameras produces. The other major requirement is that cell phone should be affordable for my limited budget. That’s where LG KU 380 came in. KU 380 has two cameras. One in the front of the unit and the other at the back. The front camera is a 0.3 megapixels VGA camera. The back camera is 1.3 megapixels Omnivision model camera. 1.3 megapixels is enough to capture the necessary details of my work and to take the picture of important moments of my life. Accompanying the camera is a varied set of options that could be used. You select the picture size, choose the picture quality, and set the brightness of the picture, among other things. You could also take up to nine burst shots and set the timer of the camera. The problem with the camera is that it has no flash mechanism, thus making it hard to take pictures during the night. It has a Night Mode, which unfortunately, is not enough to take a good picture in dim places or when it is nighttime. The camera could also be used to take videos. However, the videos taken by this camera is not that top notch. Just like the many 3G phones out there, KU 380 could be installed with a micro SD card so as to increase your memory space. You could use the card to place all your favorite music (in MP3 file format), videos (3GP format), pictures, and any file that you wish to store. KU 380 could stand as an MP3 player it has an earphone as an accessory. The earphone is important since KU 380’s loudspeaker is not loud enough to drown out the noise. You could also play videos downloaded from you tube as long as you convert it into 3GP format before storing into your phone. KU 380 has other set of programs that are available. It has a calculator and a converter that is used to convert length, area, and weight from metric unit to English unit and vice versa. KU 380 can be connected to the PC by its USB connector. There are to options to run download and upload file for this phone. The first is by choosing the USB Mass Storage mode in the cell phone. This mode will treat the cell phone as a mass storage device (in other words, a flash disk) and the PC will access all files stored in the SD card. The other mode is the USB Data Service mode, which accesses both the handset memory and the SD card memory by using the software that is also included when you purchase the cell phone. KU 380 could also interconnect using bluetooth. Thus, it could be use to transfer files between cell phones or to the PC or laptop. The major problem that I am having with KU 380 is its software. The software could be used to download my phonebook, pictures, videos, and such but it can’t download SMS messages stored in the phone. I do not what the problem is. I tried to uninstall and reinstall the program in my PC but it failed to fix the problem. It is possible that the software that I purchased with my phone has a problem. Or it is possible that the software really have a problem. Another problem is that the phone cannot be accessed when shifted from USB Mass Storage mode to USB Data Service mode. The solution for this is to turn the phone off after shifting to USB Data Service mode, then turn it on again. That will fix the problem and the PC could now access you phone. One user of the phone did not like the fact that the loudspeaker is not loud enough when the MP3 music is being played. That is not a problem. It is better to use the earphone. Last is that the KU 380 can not display the time on its idle frame just like most phones. This is a problem for me since I do not have the habit of wearing a watch and rely on my phone to know the time. Another problem, which just came out recently, is that the screen goes blank whenever I plug the headphones, whenever I turn on my phone, or whenever I flip down the phone. The white blank screen also appears randomly. The only measure that I do is to remove the battery then turn the phone on again. I have to do this for so many times until the screen return to normal. I also keep my phone flip up so that the blank screen will not appear. One of these days, I’ll bring my phone to the store and have it fix. Counting the good and the bad, I still give this phone a thumbs up. For the last six months, I did not experience major problem with this phone. The battery life is good and it last full battery when idle for a day. It could easily catch signal, which is unlike the former Siemen phone of which forces me to go out of my house just so I could make a call or receive an SMS. KU 380 is good. Life’s good. Visit Before the Eastern Sunset and read my visit in People’s Park, Tagaytay City.